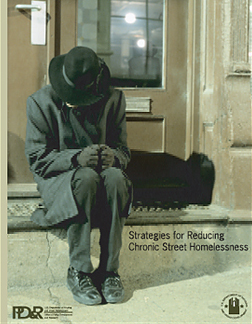 This is an experimental time for programs to reduce chronic street homelessness. The many communities trying to end chronic homelessness must learn about successful approaches, construct their own strategies, and locate the necessary resources to fulfill their plans. These communities can benefit from the experiences of homeless service providers who are willing and able to participate in developing and implementing new approaches. HUD sponsored this project to identify and describe community-wide approaches that reduce homelessness and achieve stable housing for the difficult-to-serve people who routinely live on the streets. In visiting communities with a commitment and a community-wide approach to reducing chronic homelessness, researchers were able to identify some effective strategies and indicators of success. This report documents strategies and measures of effectiveness in a way that will help other communities trying to address the problem of chronic street homelessness.